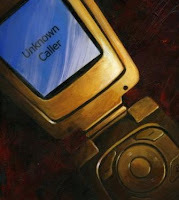 Home » personal , world-affairs » Unknown Calls? Oh! I didn't know that even skype calls show up as a private number! So far, I've only used skype with other skype users, never for direct phone numbers. Guess it makes sense to answer these calls then. I wish that person had called again though... as of now, I don't even know who s/he was! I didn't know about the Pakistan/Afghanistan bit either... thanks for informing me, SuKu. Will keep it in mind now.